SOTA News 2001 SOTA Instruments Inc.
We are now taking advance orders for the BT6pro. The BT5pro will no longer be manufactured. For those wishing to upgrade their SOTA BT5pro please call our Customer Service Staff at 1.800.224.0242 or 1.250.770.2023. As Customers upgrade to the new BT6pro, we will have BT5pro’s available as used units. Call for details and availability. Our new model Silver Maker CSG3 is now shipping. It is the same unit, with a change to the output voltage from 27 volts DC to 31 volts DC. The Canadian Health Protection Branch (HPB) has issued a Class II Medical Device Licence for our Zapper. The Zapper can be purchased without a Doctor’s prescription. Also, the Medical Device Licence allows the Zapper to participate in clinical trials and other medical research. SOTA Instruments Inc. is pleased to announce that Health Canada has issued a Medical Device License for their Silver Pulser and Bio-Tuner. Licensing follows extensive use of both units by natural health practitioners and the public for research purposes. Licensing means medical doctors are now free to use SOTA’s Silver Pulser and Bio Tuner in their practice. As Class II Medical Devices both units are available without the need of a prescription. “We are pleased to gain licensing approval for both our Silver Pulser and Bio Tuner so quickly after the licensing of our Magnetic Pulser,” states company president, Russ Torlage. SOTA Instruments Inc. is a privately owned Canadian-based company that specializes in the manufacture and design of leading-edge electronic products for the natural health market. The use of microcurrents of electricity and TENS devices has gained increasingly favorable attention in recent years as non-invasive, non-toxic, healing modalities. SOTA’s units are designed for ease of use, as they are portable and priced affordably for the consumer. The Silver Pulser, Bio Tuner and Magnetic Pulser come with complete operating instructions and are safe and simple to operate. To summarize, the U.S. Federal Trade Commission (“FTC”) has concluded and charged SOTA Instruments Inc. (“SOTA”) with engaging in deceptive acts and practices in violation of Sections 5 and 12 of the FTC Act. This government agency deems they are acting in your “the public’s” best interest as they believe SOTA has caused you “substantial injury” by having an internet link from our website www.sotainstruments.com to another website. They believe substantial injury occurred because the other website posted letters from customers of SOTA that shared how the SOTA products had helped them in their lives. The charges are very serious, and of course we believe the FTC is wholly wrong in this case. We have dedicated an entire web page to this so you can become knowledgeable and informed on our progress. It is a case about our rights and freedoms. Many other companies on the Internet have been targeted by the FTC through this “Internet sweep” as the FTC calls it; and many companies have gone out of business and/or were required to pay huge settlement fees. The owners of Action Electronics stopped selling any of the products after they received the same letter from the FTC. It is a rare thing indeed to win your case against the FTC. We would like to add that your letters of support, your testimonials, and your kind words are deeply appreciated. You are part of the answer to help get this wonderful technology accepted into the world, and we at SOTA thank you most sincerely. Due to uncontrollable rising costs of doing business; from our efforts at dealing with Government Regulatory Bodies, difficulties in shipping outside of Canada, poor Canadian dollar exchange rate, and many other “nickel & dime” issues, we must now charge for shipping for our products. New Shipping Rates will be in effect May 15th, 2001. We thank each and everyone of you for your continued support and heart-felt dedication. Also, many of you write to us at SOTA to express your thanks for the goods and service we offer, and/or your results (testimonials) with using our equipment. Not only are we deeply appreciative for your letters, faxes, and e-mails, we use this feedback to help prove the effectiveness and safety of our products. You are part of our Team. Again, much thanks to all of you. SOTA Instruments Inc. is a privately-owned Canadian-based company that specializes in the manufacture and design of leading-edge electronic products for the natural health market. The use of pulsed magnetic fields has gained increasingly favorable attention in recent years as a non-invasive, non-toxic, healing modality. Most of the pulsed magnetic therapy devices currently on the market are large, expensive and complex units. In contrast, the SOTA MPG is lightweight, portable, easy to use, and priced at a cost that is attractive and affordable to consumers. 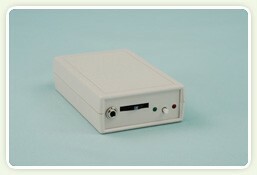 The Magnetic Pulser is safe and simple to operate. We have been awarded “Business of the Year” by the Parks and Recreation Department of the City of Revelstoke for our contributions and support to community groups. This is the first time this award has been given. We are very honored to receive such an award. The design of the Harmonic Pulser, Model HP1 is now completed. We expect to be able to ship the Harmonic Pulser in April, 2001. We are very pleased to offer the Harmonic Pulser at a price of $220.00 US. The original design by the inventor currently retails for $495.00 USD. Thank you all for your continued support and patience as we developed this wonderful new product. 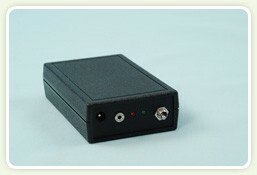 The new Harmonic Pulser design has been completed. Russ discussed with the inventor the advantages of having a crystal-controlled micro-chip computer perform all of the signal timing and conditioning. He agreed if it could be done (others had failed) it would be a significant advancement. We are happy to report that the programming of the micro-processor is complete and the unit works flawlessly. Basically, the micro-processor uses a 4.0 MHz crystal to digitally derive the output frequency of 728 Hz, and perform the 1 Hz modulation. The advantage of using a crystal-controlled micro-chip computer is there is no need to tune the Harmonic Pulser, as is currently required. We will begin to order all the parts for full production ASAP. Expect delivery within 6-8 weeks pending unforeseeable delays.